MKS was my first product launch when I joined Team Detroit back in 2007. 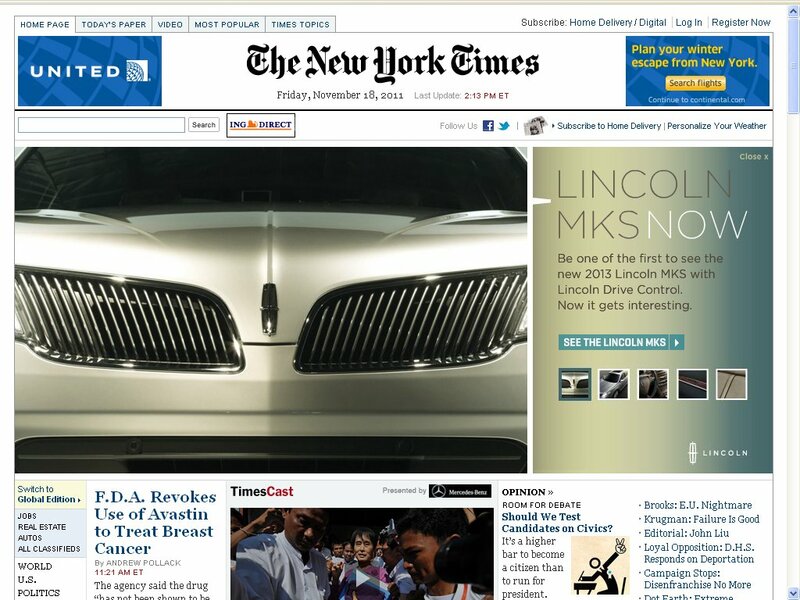 It's been 4 years since we all worked diligently to launch the Lincoln MKS reveal way back then. Seeing a banner ad promoting the MKS today caused me to reflect on how monumental that project was. The MKS back then was the beginning of the new design direction and Lincoln's first step away from its Reach Higher brand campaign. 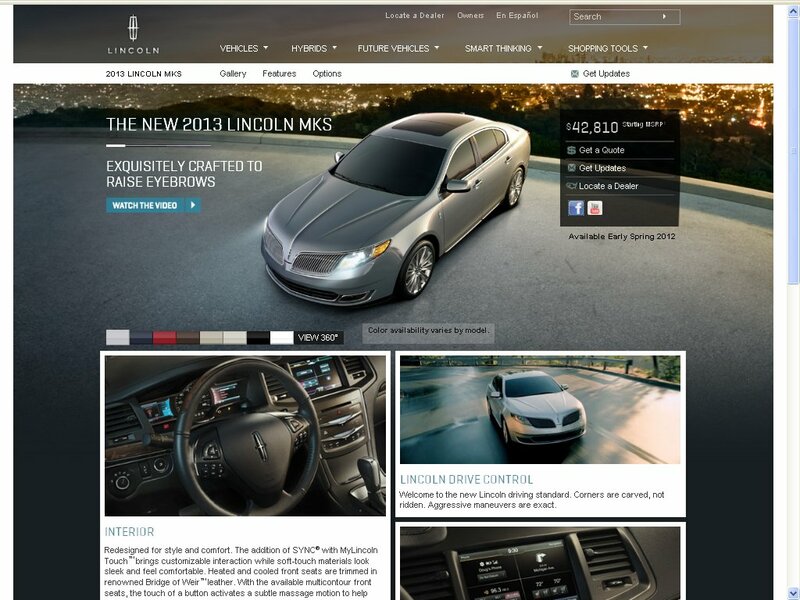 Today's Lincoln MKS reveal shows a car that's evolved, gracefully. The new design looks a bit more elegant, a bit more aggressive - particularly the hood, and loaded with more technology. It's a nice refresh. Some changes are happening since 2007 with digital marketing. 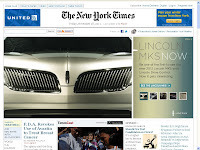 Lincoln now has a Facebook and YouTube icon on the new microsite, including a large tile on the bottom right inviting people to "Like Lincoln MKS on Facebook." Social is definitely a part of the equation. The rest of the content is typical reveal fare: large beauty shots, information about new features, 360 views, and several video clips explaining key changes to the car.